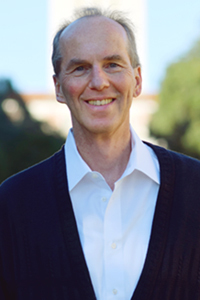 Professor Weyland's research interests focus on democratization and authoritarian rule, on social policy and policy diffusion, and on populism in Latin America and Europe. He has drawn on a range of theoretical and methodological approaches, including insights from cognitive psychology, and has done extensive field research in Argentina, Bolivia, Brazil, Chile, Costa Rica, Peru, and Venezuela. After receiving a Staatsexamen from Johannes-Gutenberg Universitat Mainz in 1984, a M.A. from UT in 1986, and a Ph.D. from Stanford University in 1991, he taught for ten years at Vanderbilt University and joined UT in 2001. He has received research support from the SSRC and NEH and was a fellow at the Woodrow Wilson Center in Washington, DC, in 1999/2000 and at the Kellogg Institute, University of Notre Dame, in 2004/05. From 2001 to 2004, he served as Associate Editor of the Latin American Research Review. He is the author of Democracy without Equity: Failures of Reform in Brazil (University of Pittsburgh Press, 1996), The Politics of Market Reform in Fragile Democracies: Argentina, Brazil, Peru, and Venezuela (Princeton University Press, 2002), Bounded Rationality and Policy Diffusion: Social Sector Reform in Latin America (Princeton University Press, 2007), several book chapters, and many articles in journals such as World Politics, Comparative Politics, Comparative Political Studies, Latin American Research Review, International Studies Quarterly, Journal of Democracy, Foreign Affairs, and Political Research Quarterly. He has also (co-)edited two volumes, namely Learning from Foreign Models in Latin American Policy Reform (Woodrow Wilson Center Press, 2004) and, together with Wendy Hunter and Raul Madrid, Leftist Governments in Latin America: Successes and Shortcomings (Cambridge University Press, 2010). His latest book, Making Waves: Democratic Contention in Europe and Latin America since the Revolutions of 1848, was published by Cambridge University Press in 2014. This course provides a very wide-ranging, theoretically and methodologically pluralistic introduction to the field of Comparative Politics. After a brief discussion of the great variety of methodological approaches that are applied in our field, we will systematically compare and assess the major theoretical approaches (“paradigms”) that Comparativists have drawn on, especially “culturalism,” Marxism & neo-Marxism, historical institutionalism, rational choice, and rational-choice institutionalism. Thereafter, we will assess how these theoretical approaches work by discussing a number of important substantive issues and topics, especially the political economy & development of the global North & the global South; revolution; political regime change, especially democratization; political parties and voting; interest groups and social movements; and nationalism and ethnic conflict. The readings on these substantive topics will reflect the diverse theoretical and methodological approaches discussed before. Mark Lichbach & Alan Zuckerman, eds., Comparative Politics, 2nd ed. (Cambridge UP, 2009) ? Dietrich Rueschemeyer, Evelyne Huber Stephens & John Stephens, Capitalist Development and Democracy (U. Chicago Pr., 1992) ? Many, many journal articles and book chapters on electronic reserve. This course will compare liberal democracy in the U.S. with the political systems of Great Britain, Sweden, Russia/Soviet Union, and Mexico. The main purpose is to analyze how different models of democracy as well as non-democratic types of political regime operate in practice and how they have changed over time. Specifically, we will examine liberal democracy (the case of the U.S.); social democracy (Sweden); the move from social to liberal democracy (Great Britain); Communist totalitarianism (Soviet Union), its move toward democratization, and the slide into authoritarian rule (Russia); & authoritarian rule & its democratization (Mexico). Through this wide-ranging approach, we will also examine how countries of very different historical and regional background and of different development levels deal with fundamental political issues. Thus, the course will examine political decision-making in different institutional and societal settings and analyze how these political differences affect public policies and the lives of common citizens. 3 examinations + 3 quizzes about the readings. Strict attendance norm. Rigorous enforcement of scholastic honesty rules. M. Donald Hancock et al., eds., Politics in Europe: An Introduction to the Politics of the United Kingdom, ... Sweden, Russia,.. 6th ed. (Congressional Quarterly Press, 2014). [NOTE: We will use the 6th edition so students can obtain used copies; the 7th edition (2018) is very expensive]. Daniel Levy & Kathleen Bruhn, Mexico: The Struggle for Democratic Development, 2nd ed. (Univ. California Press, 2006). Substantial reading load of 70-100 pp. per week. This course will analyze Latin America’s international relations in a wide-ranging, theoretically informed perspective. The first week will introduce students to a variety of theoretical approaches to this topic. For a few weeks thereafter, the course will examine U.S. policy toward Latin America, starting with the long list of U.S. interventions during the twentieth century (before and during the Cold War); we will focus on emblematic cases, such as Mexico (1910s), Guatemala (1954), Cuba (1959 ff), Chile (1970-73), Grenada (1983) & Panama (1989). We will then analyze how U.S. – Latin American relations have changed with the end of the Cold War. Thereafter, the course will for two weeks investigate the impact of economic structures and forces on the region’s international position and influence; in particular, what have the repercussions of Latin America’s “economic dependency” been, and how has international economic integration (e.g., NAFTA) changed the region’s insertion into the international economic and political system? Finally, the last few weeks of the course will discuss a variety of new issues that have arisen on Latin America’s international agenda, such as democracy and human rights; international migration; drug trafficking; and the protection of the environment and of indigenous populations. How have the U.S. and Latin America dealt with all of these novel issues, and how do we need to adjust our theoretical frameworks to account for these new developments? 1 six to seven page essay paper about questions distributed by the instructor; midterm and final examinations; 2 quizzes about the readings. Strict attendance rule & policy. Rigorous enforcement of scholastic honesty norms. Michael Grow, U.S. Presidents and Latin American Interventions. University Press of Kansas, paperback edition, 2012. Robert Pastor, Exiting the Whirlpool. Westview Press, 2001. Russell Crandall, The United States and Latin America after the Cold War. Cambridge University Press, 2008. Pls. note: Substantial reading load of about 100 pp. of material per week. Ronald Inglehart and Christian Welzel, Modernization, Cultural Change, and Democracy (Cambridge UP, 2005) ? Mark Lichbach & Alan Zuckerman, eds., Comparative Politics, 2nd ed. (Cambridge UP, 2009) ? M. Donald Hancock et al., eds., Politics in Europe: An Introduction to the Politics of the United Kingdom, ... Sweden, Russia,.. 5th ed. (Congressional Quarterly Press, 2011/12). [NOTE: We will use the 5th edition so students can obtain used copies; the 6th edition (2014) is very expensive]. The readings amount to 70-100 pp. per week. This course will analyze Latin America’s international relations in a wide-ranging, theoretically informed perspective. The first week will introduce students to a variety of theoretical approaches to this topic. For a few weeks thereafter, the course will examine U.S. policy toward Latin America, starting with the long list of U.S. interventions during the twentieth century (before and during the Cold War); we will focus on emblematic cases, such as Mexico (1910s), Guatemala (1954), Cuba (1959 ff), Chile (1970-73), Grenada (1983) & Panama (1989). We will then analyze how U.S. – Latin American relations have changed with the end of the Cold War. Thereafter, the course will for two weeks investigate the impact of economic structures and forces on the region’s international position and influence; in particular, what have the repercussions of Latin America’s “economic dependency” been, and how has international economic integration (e.g., NAFTA) changed the region’s insertion into the international economic and political system? Finally, the last few weeks of the course will discuss a variety of new issues that have arisen on Latin America’s international agenda, such as democracy and human rights; international migration; drugs and (other) international criminal activities; and the protection of the environment and of indigenous populations. How have the U.S. and Latin America dealt with all of these novel issues, and how do we need to adjust our theoretical frameworks to account for these new developments? Pls. note: The readings will amount to about 100 pp. of material per week. This course will provide a very wide-ranging, theoretically and methodologically pluralistic introduction to the field of Comparative Politics. After a brief discussion of the great variety of methodological approaches that are applied in our field, we will systematically compare and assess the major theoretical approaches (“paradigms”) that Comparativists have drawn on, especially “culturalism,” Marxism & neo-Marxism, historical institutionalism, rational choice, and rational-choice institutionalism. Thereafter, we will assess how these theoretical approaches work by discussing a number of important substantive issues and topics, especially the political economy & development of the global North & the global South; revolution; political regime change, especially democratization; political parties and voting; interest groups and social movements; and nationalism and ethnic conflict. The readings on these substantive topics will reflect the diverse theoretical and methodological approaches discussed before. Extensive electronic reserves of journal articles and book chapters. This course will provide a very wide-ranging, theoretically and methodologically pluralistic introduction to the field of Comparative Politics. After a brief discussion of the great variety of methodological approaches that are applied in our sub-field, we will systematically compare and assess the major theoretical approaches (“paradigms”) that Comparativists have drawn on, especially “culturalism,” [neo-]Marxism, historical institutionalism, rational choice, and rational-choice institutionalism. Thereafter, we will assess how these theoretical approaches work by discussing a number of important substantive issues and topics, especially the political economy of the global North & the global South; revolution; political regime change, especially democratization; political parties and voting; interest groups and social movements; and nationalism and ethnic conflict. The readings on these substantive topics will reflect the diverse theoretical and methodological approaches discussed before. Robert Bates, Markets and States in Tropical Africa (U. California Pr., 1984, reprint 2005) ? David Laitin, Nations, States, and Violence (Oxford UP, 2007) ? This course will compare the U.S. political system with Great Britain, Sweden, Russia/Soviet Union, and Mexico. The main purpose is to analyze how different models of democracy as well as non-democratic types of political regime operate in practice and how they have changed over time. Specifically, we will examine liberal democracy (the case of the U.S.); social democracy (Sweden); the move from social to liberal democracy (Great Britain); Communist totalitarianism (Soviet Union), its move toward democratization, and the slide into authoritarian rule (Russia); & authoritarian rule & its democratization (Mexico). Through this wide-ranging approach, we will also examine how countries of very different historical and regional background and of different development levels deal with fundamental political issues. Thus, the course will examine political decision-making in different institutional and societal settings and analyze how these political differences affect public policies and the lives of common citizens. This course will analyze Latin America’s international relations in a wide-ranging, theoretically informed perspective. The first week will introduce students to a variety of theoretical approaches to this topic. For a few weeks thereafter, the course will examine U.S. policy toward Latin America, starting with the long list of U.S. interventions during the twentieth century (before and during the Cold War); we will focus on emblematic cases, such as Mexico (1910s), Guatemala (1954), Cuba (1959 ff), Chile (1970-73), Grenada (1983) & Panama (1989). We will then analyze how U.S. – Latin American relations have changed with the end of the Cold War. Thereafter, the course will investigate the impact of economic structures and forces on the region’s international position and influence; in particular, what have the repercussions of Latin America’s “economic dependency” been, and how has international economic integration (e.g., NAFTA) changed the region’s insertion into the international economic and political system? Finally, the last few weeks of the course will discuss a variety of new issues that have arisen on Latin America’s international agenda, such as democracy and human rights; international migration; drugs and (other) international criminal activities; and the protection of the environment and of indigenous populations. How have the U.S. and Latin America dealt with all of these novel issues, and how do we need to adjust our theoretical frameworks to account for these new developments? This course will provide a very wide-ranging, theoretically and methodologically pluralistic introduction to the field of Comparative Politics. After a brief discussion of the great variety of methodological approaches that are applied in our sub-field, we will systematically compare and assess the major theoretical approaches (“paradigms”) that Comparativists have drawn on, especially “culturalism,” [neo-]Marxism, historical institutionalism, rational choice, and rational-choice institutionalism. Thereafter, we will assess how these theoretical approaches work by discussing a number of important substantive issues and topics, especially the political economy of the global North & the global South; revolution; regime change, especially democratization; political parties and voting; interest groups and social movements; and nationalism and ethnic conflict. The readings on these substantive topics will reflect the diverse theoretical and methodological approaches discussed before. This course will compare the U.S. political system with that of Great Britain, Sweden, Russia/Soviet Union, and Mexico in order to analyze how different models of democracy as well as non-democratic types of political regime operate in practice and how they have changed over time. Specifically, we will examine liberal democracy (the case of the U.S.); social democracy (Sweden); the move from social to liberal democracy (Great Britain); Communist totalitarianism (Soviet Union), its move toward democratization, and the slide into authoritarian rule (Russia); authoritarian rule & its democratization (Mexico). In this way, the course will examine political decision-making in different institutional settings and analyze how these political differences affect public policies and the lives of common citizens. This course will analyze Latin America’s international relations in a wide-ranging, theoretically informed perspective. The first week will introduce a variety of theoretical approaches to this topic. For a few weeks thereafter, the course will examine U.S. policy toward Latin America, starting with the long list of U.S. interventions during the twentieth century (before and during the Cold War); we will focus on emblematic cases, such as Mexico (1910s), Guatemala (1954), Cuba (1959 ff), Chile (1970-73), Grenada (1983) & Panama (1989). We will then analyze how U.S. – Latin American relations have changed with the end of the Cold War. Thereafter, the course will investigate the impact of economic structures and forces on the region’s international position and influence; in particular, what have the repercussions of Latin America’s “economic dependency” been, and how has international economic integration (e.g., NAFTA) changed the region’s insertion into the international economic and political system? Finally, the last third of the course will discuss a variety of new issues that have arisen on Latin America’s international agenda, such as democracy and human rights; international migration; drugs and (other) international criminal activities; and the protection of the environment and of indigenous populations. How have the U.S. and Latin America dealt with all of these novel issues, and how do we need to adjust our theoretical frameworks to account for these new developments? This course will provide a very wide-ranging, theoretically and methodologically pluralistic introduction to the field of Comparative Politics. After a brief discussion of the great variety of methodological approaches that are applied in our sub- field, we will systematically compare and assess the major theoretical approaches (“paradigms”) that Comparativists have drawn on, especially “culturalism,” [neo-]Marxism, historical institutionalism, and rational choice (including rational-choice institutionalism). Thereafter, we will assess how these theoretical approaches work by discussing a number of important substantive issues and topics, especially the political economy of the First World and Third World; revolution; democratization; parties and voting; interest groups and social movements; and nationalism and ethnic conflict. The readings on these substantive topics will reflect the diverse theoretical and methodological approaches discussed before. Robert Bates, Markets and States in Tropical Africa (U. California Pr., 1984) ? This course will compare the U.S. political system with that of Great Britain, Sweden, Russia/Soviet Union, and Mexico in order to analyze how different models of democracy and different types of political regime operate in practice and how they have changed over time. Specifically, we will examine liberal democracy (the case of the U.S.); social democracy (Sweden); the move from social to liberal democracy (Great Britain); Communist totalitarianism (Soviet Union); authoritarian rule (Mexico); and the democratization of the latter two countries, as well as Russia’s slide back toward authoritarian rule. In this way, the course will examine political decision-making in different institutional settings and analyze how these political differences affect the lives of common citizens. CQ Press Custom Editions, Selections from Politics in Europe - Custom Edition (Weyland) (Congressional Quarterly Press, 2012). In lieu of this special custom edition for our course, students can also use the original huge textbook (which features lots of additional materials that we will not use: M. Donald Hancock et al., eds., Politics in Europe: An Introduction to the Politics of the United Kingdom, ... Sweden, Russia,.. 5th ed. (Congressional Quarterly Press, 2011/12). This course will analyze Latin America’s international relations in a wide-ranging, theoretically informed perspective. The first week will introduce a variety of theoretical approaches to this topic. For a few weeks thereafter, the course will examine U.S. policy toward Latin America, starting with the long list of U.S. interventions during the twentieth century (before and during the Cold War). We will then analyze how U.S. – Latin American relations have changed with the end of the Cold War. Thereafter, the course will investigate the impact of economic structures and forces on the region’s international position and influence; in particular, what have the repercussions of Latin America’s “economic dependency” been, and how has international economic integration (e.g., NAFTA) changed the region’s insertion into the international economic and political system? Finally, the last third of the course will discuss a variety of new issues that have arisen on Latin America’s international agenda, such as democracy and human rights; international migration; drugs and (other) international criminal activities; and the protection of the environment and of indigenous populations. How have the U.S. and Latin America dealt with all of these novel issues, and how do we need to adjust our theoretical frameworks to account for these new developments? 1 six to seven page essay paper about questions distributed by the instructor; midterm and final examinations; 2 quizzes about the readings. Strict attendance policy. Rigorous enforcement of scholastic honesty norms. The readings will amount to about 100 pp. of material per week. This course will compare the U.S. political system with that of Great Britain, Sweden, Russia/Soviet Union, and Mexico in order to analyze how different models of democracy and different types of political regime operate in practice and how they change over time. Specifically, we will examine liberal democracy (the case of the U.S.); social democracy (Sweden); the move from social to liberal democracy (Great Britain); Communist totalitarianism (Soviet Union); authoritarian rule (Mexico); and the democratization of the latter two countries, as well as Russia’s slide back toward authoritarian rule. In this way, the course will examine political decision-making in different institutional settings and analyze how these political differences affect the lives of common citizens. This course will analyze Latin America’s international relations in a wide-ranging, theoretically informed perspective. The first week will introduce a variety of theoretical approaches to this topic. For a few weeks thereafter, the course will examine U.S. policy toward Latin America, starting with the long list of U.S. interventions during the twentieth century (before and during the Cold War). We will then analyze how U.S. – Latin American relations have changed with the end of the Cold War. Thereafter, the course will investigate the impact of economic structures and forces on the region’s international position and influence; in particular, what have the repercussions of Latin America’s “economic dependency” been, and how has international economic integration (e.g.,, NAFTA) changed the region’s insertion into the international economy and political system? Finally, the last third of the course will discuss a variety of new issues that have arisen on Latin America’s international agenda, such as democracy and human rights; international migration; drugs and (other) international criminal activities; and the protection of the environment and of indigenous populations. How have the U.S. and Latin America dealt with all of these novel issues, and how do we need to adjust our theoretical frameworks to account for these new developments? This course will provide a very wide-ranging, theoretically and methodologically pluralistic introduction to the field of Comparative Politics. After a brief discussion of the great variety of methodological approaches that are applied in our sub- field, we will systematically compare and assess the major theoretical approaches (“paradigms”) that Comparativists have drawn on, especially “culturalism,” [neo-]Marxism, historical institutionalism, and rational choice (including rational-choice institutionalism). Thereafter, we will discuss a number of important substantive issues and topics, especially the political economy of the First World and Third World; revolution; democratization; parties and voting; interest groups and social movements; and nationalism and ethnic conflict. The readings on these substantive topics will reflect the diverse theoretical and methodological approaches discussed before. Extensive electronic reserves [and, perhaps, significant course-pack] of journal articles and book chapters. This course will compare the U.S. political system with that of Great Britain, Sweden, Russia/Soviet Union, and Mexico in order to analyze how different models of democracy and different types of political regime operate in practice and how they change over time. Specifically, we will examine liberal democracy (the case of the U.S.); social democracy (Sweden); the move from social to liberal democracy (Great Britain); Communist totalitarianism (Soviet Union); authoritarian rule (Mexico); and the democratization of the latter two countries. In this way, the course will examine political decision-making in different institutional settings and analyze how these political differences affect the lives of common citizens. 3 examinations + 3 quizzes about the readings. Strict attendance policy. Rigorous enforcement of scholastic honesty norms. M. Donald Hancock et al., eds., Politics in Europe: An Introduction to the Politics of the United Kingdom, ... Sweden, Russia,.. 5th ed. (Congressional Quarterly Press, 2011/12). This course will analyze Latin America’s international relations in a wide-ranging perspective. The first week will introduce a variety of theoretical approaches to this topic. For a few weeks thereafter, the course will examine U.S. policy toward Latin America, starting with the long list of U.S. interventions during the twentieth century (before and during the Cold War). We will then analyze how U.S. – Latin American relations have changed with the end of the Cold War. Thereafter, the course will investigate the impact of economic structures and forces on the region’s international position and influence; in particular, what have the repercussions of Latin America’s “economic dependency” been, and how has the wave of market-oriented reforms changed the region’s insertion into the international economy and political system? Finally, the last third of the course will discuss a variety of new issues that have arisen on Latin America’s international agenda, such as democracy and human rights; international migration; drugs and (other) international criminal activities; and the protection of the environment and of indigenous populations. How have the U.S. and Latin America dealt with all of these novel issues, and how do we need to adjust our theoretical frameworks to account for these new developments? Michael Grow, U.S. Presidents and Latin American Interventions. University Press of Kansas, 2008. The readings will amount to 80-100 pp. of material per week. This course will provide a very wide-ranging, theoretically and methodologically pluralistic introduction to the field of Comparative Politics. After a brief discussion of the great variety of methods that are applied in the field, we will compare and assess the major theoretical approaches (“paradigms”) that Comparativists have drawn on, especially “culturalism,” Marxism, historical institutionalism, and rational choice (including rational-choice institutionalism). Thereafter, we will discuss a number of important substantive issues and topics, especially the political economy of the First World and Third World; revolution; democratization; parties and voting; interest groups and social movements; and nationalism and ethnic conflict. The readings on these substantive topics will reflect the diverse theoretical and methodological approaches discussed before. M. Donald Hancock et al., eds., Politics in Europe: An Introduction to the Politics of the United Kingdom, ... Sweden, Russia,.. 4th ed. (Congressional Quarterly Press, 2007). Course description:This course will analyze Latin America’s international relations in a wide-ranging perspective. The first week will introduce a variety of theoretical approaches to this topic. For a few weeks thereafter, the course will examine U.S. policy toward Latin America, starting with the long list of U.S. interventions during the twentieth century (before and during the Cold War). We will then analyze how U.S. – Latin American relations have changed with the end of the Cold War. Thereafter, the course will investigate the impact of economic structures and forces on the region’s international position and influence; in particular, what have the repercussions of Latin America’s “economic dependency” been, and how has the wave of market-oriented reforms changed the region’s insertion into the international economy and political system? Finally, the last third of the course will discuss a variety of new issues that have arisen on Latin America’s international agenda, such as democracy and human rights; international migration; drugs and (other) international criminal activities; and the protection of the environment and of indigenous populations. How have the U.S. and Latin America dealt with all of these novel issues, and how do we need to adjust our theoretical frameworks to account for these new developments?Grading:1 six to seven page essay paper about questions distributed by the instructor; midterm and final examinations; 2 quizzes about the readings. Strict attendance policy. Rigorous enforcement of scholastic honesty norms.Texts:Michael Grow, U.S. Presidents and Latin American Interventions. University Press of Kansas, 2008.Robert Pastor, Exiting the Whirlpool. Westview Press, 2001.Russell Crandall, The United States and Latin America after the Cold War. Cambridge University Press, 2008. Coursepack with xeroxed journal articles and book chaptersThe readings will amount to 80-100 pp. of material per week. Course Description: This course will provide a very wide-ranging, theoretically and methodologically pluralistic introduction to the field of Comparative Politics. After a brief discussion of the great variety of methods that are applied in the field, we will compare and assess the major theoretical approaches (“paradigms”) that Comparativists have drawn on, especially “culturalism,” Marxism, historical institutionalism, and rational choice (including rational-choice institutionalism). Thereafter, we will discuss a number of important substantive issues and topics, especially the political economy of the First World and Third World; revolution; democratization; parties and voting; and interest groups and social movements; and nationalism and ethnic conflict. The readings on these substantive topics will reflect the diverse theoretical and methodological approaches discussed before. Sidney Tarrow, Power in Movement, 2nd ed. (Cambridge UP, 1998) [NOTE: 3rd ed. is in the works but may not be published/available in time] ? Democracy has been on the defensive in contemporary Latin America; under the cover of progressive rhetoric, competitive authoritarianism has emerged. Leftist leaders like Hugo Chávez relied on populism to establish their political hegemony, erode institutional checks and balances, marginalize the opposition through discriminatory legalism, and severely skew political competition. Left-wing populism has done more damage to democracy than the rightist, neoliberal populism of the 1990s. Self-styled socialist leaders command more solid, durable support, use growing economic interventionism to boost their power, invoke nationalism as a shield against foreign democracy promotion, and act as a coordinated group in suffocating democracy. The Arab Spring: Why the Surprising Similarities with the Revolutionary Wave of 1848? Prominent scholars have highlighted important similarities between the Arab Spring of 2011 and the “revolutions” of 1848: Both waves of contention swept with dramatic speed across whole regions, but ended up yielding rather limited advances toward political liberalism and democracy. I seek to uncover the causal mechanisms that help account for these striking parallels. Drawing on my recent analysis of 1848, I argue that contention spread so quickly because many people in a wide range of countries drew rash inferences from the downfall of Tunisia's dictator. Applying cognitive heuristics that psychologists have documented, they overrated the significance of the Tunisian success, overestimated the similarities with the political situation in their own country, and jumped to the conclusion that they could successfully challenge their own autocrats. This precipitation prompted protests in many settings that actually were much less propitious; therefore problems abounded. Cognitive shortcuts held such sway because Arab societies were weakly organized and repressed and thus lacked leaders from whom common people could take authoritative cues. The decision whether to engage in emulative contention fell to ordinary citizens, who—due to limited information access and scarce experience—were especially susceptible to the simple inferences suggested by cognitive heuristics. This article goes beyond the established literature’s focus on domestic conditions by examining the impact of external impulses on European democratization from 1830 to 1940. Specifically, it analyzes the diffusion of regime conflict that arose from the cross-national spread of situational judgments about the feasibility of political change: Striking precedents of regime collapse, such as the overthrow of French kings in 1830 and 1848, tended to produce dramatic waves of political contention across Europe. But because the actual distribution of power in polities that experienced such externally stimulated episodes of regime contention often differed from the front-runner, these conflicts produced various types of results. The article distinguishes four outcomes of diffusion, namely (a) successful replication, (b) preemptive reform, (c) abortive replication, and (d) blockage of replication efforts. The latter two outcomes help explain why in European history, not only did political liberalism and democracy diffuse, but during certain time periods authoritarianism, corporatism, and fascism spread as well. Since tenure decisions concern the award of an employment guarantee, the burden of proof ought to rest on the candidate; in cases of doubt, the vote should be negative. However, a number of corrosive tendencies often weaken the strict application of this principle. To counteract these tendencies, this article advocates a strategy of pre- commitment to fairly objective standards and reliance on the professional judgments of a variety of anonymous outside experts, as reflected in a candidate’s success in the double- blind peer review process. What accounts for the spread of political protest and contention across countries? Analyzing the wildfire of attempted revolutions in 1848, the present article assesses four causal mechanisms for explaining diffusion, namely external pressure from a great power (such as revolutionary France after 1789); the promotion of new norms and values—such as liberalism and democracy—by more advanced countries; rational learning from successful contention in other nations; or boundedly rational, potentially distorted inferences from select foreign experiences. The patterns in which revolutionary contention spread and eyewitness reports from all sides of the ensuing conflicts suggest that bounded rationality played a crucial role: cognitive heuristics that deviate from fully rational procedures drew attention to some experiences but not others and induced both challengers and defenders of the established order to draw rash conclusions from these experiences, particularly the French monarchy's fall in February 1848. My study also shows, however, that other factors made important contributions, for instance by preparing the ground for the wave of regime contention. Going beyond historical and rational choice institutionalism, this article elaborates the core of a new theory that can account for the discontinuous, disproportionate, and frequently wavelike nature of institutional change. Cognitive-psychological findings on shifts in actors' propensity for assuming risk help explain why periods of institutional stasis can be followed by dramatic breakthroughs as actors eventually respond to a growing problem load with efforts at bold transformation. And insights on boundedly rational learning explain why solutions to these problems often occur as emulation of other countries' innovations and experiences. The new approach, which elucidates both the demand and the supply side of institutional change, is illustrated through an analysis of the transformation of developmental states, welfare states, and political regimes. What accounts for the waves of policy diffusion that increasingly sweep across regions of the world? Why do many diverse countries adopt similar changes? Focusing on the spread of Chilean-style pension privatization in Latin America, this article assesses the relative merit of four theoretical explanations that scholars of diffusion have proposed. As the principal mechanism driving innovations' spread, these approaches emphasize external pressures, emanating especially from international financial institutions; the quest for symbolic or normative legitimacy; rational learning and cost-benefit calculation; and cognitive heuristics, respectively. The article assesses which one of these frameworks can best account for the three distinctive features of diffusion, namely its wavelike temporal pattern; its geographical clustering; and the spread of similarity amid diversity. While several approaches contribute to understanding policy diffusion, the analysis suggests that the cognitive-psychological framework offers a particularly persuasive account of the spread of pension reform. Who wouldn’t like more salary and higher status? Understandably, then, it is tempting for academics to bid for promotion as soon as the opportunity seems to arise. Associate professors who have been at that rank for a few years are often eager to become full members of the academic guild. How nice it would be to reach the top of the career ladder soon. The problem is that human beings tend to overestimate their capabilities and accomplishments. That’s why large majorities of survey respondents rate themselves as above-average drivers, spouses, and parents. Academics are not exempt from that tendency: We often have exaggerated views of our own qualities and contributions.